The human genome has been sequenced, a discovery that has scientists cheering and ethicists fretting about what's next for humanity. It’s a term probably known only to the ultra-geeks of the biological world — but it could completely change human medicine as we know it. It’s the CRISPR/Cas9 technique, and deep in science labs, it is completely revolutionizing genetic research, and a technology that has already been used to engineer crops, livestock and — gasp — human embryos, and scientists hope it can eventually be used to treat disease, according to a Nature.com report. The study, published Friday by scientists at the Massachusetts Institute of Technology indicates that the research team has discovered enzymes that can more precisely cut than the CIRPSR technique, which can target a stretch of DNA, snip it out, and replace, leading to extraordinary advances in medicine. But if you think the developers of the CRISPR technique are done there, you are sadly mistaken: one of the pioneers of hte effort has found a way to make CRISPR even simply, and yet also far more accurate, based on a study published in the journal Cell this past week with help from a research team at Broad Institute in Cambridge, Massachusetts. The team, led by synthetic biologist Feng Zhang, has called protein Cpf1 the potential key to unlock the limitations of CRISPR-Cas9. The problem is that while this system works for disabling genes, it doesn’t do a good job of editing them by replacing a DNA sequence with another. Wondering what the CRISPR/Cas9 system is, exactly? It’s a bit difficult to explain to the layman, but essentially it is a system that has evolved as a way for bacteria and anchaea to block invading viruses. The researchers uses the Cas9 enzyme to cut DNA “at a site specified by guide strands of RNA,” the report states. Using this information, researchers were able to turn CRISPR/Cas9 into a “molecular biology powerhouse” that is capable for use in other organisms. CRISPR, to break it down a bit further, is essentially a method biologists use to edit genes. It’s effective, but Zheng thought there was a way to do it better. As a result, he and his colleagues started probing the entire bacteria kingdom to the Case9 enzyme that they have resorted to using in laboratories most of the time. Then, in April, success: they discovered a smaller version of Cas 9 in the bacterium Staphylococcus aureus. This smaller size is important, because it makes it easier to put the enzyme in mature cells, which is essential for some therapies. But the team also zeroed in on the Cpf1 protein, which looks nothing like Cas9 but can be found in bacteria with CRISPR. After taking a close look at Cpf1 enzymes from 16 different bacteria, researchers were able to close in on two that was capable of cutting human DNA. Cpf1 and Cas9 aren’t just different in appearance, they also have some other very fundamental differences. For example, Cas9 requires two RNA molecules in order to cut the DNA, but Cpf1 needs just one. In addition, Cpf1 works somewhat differently, as Cas9 cuts both strands in a DNA molecule, leaving behind “blunt” ends, but Cpf1 leaves one strand longer than the other, according to the report. Why is this important? It’s harder for researchers to deal with blunt ends, but a sticky end produced by Cpf1 can pair with a complimentary sticky end, which can carry information that “can direct the insertion of the DNA,” Zhang said according to the report. 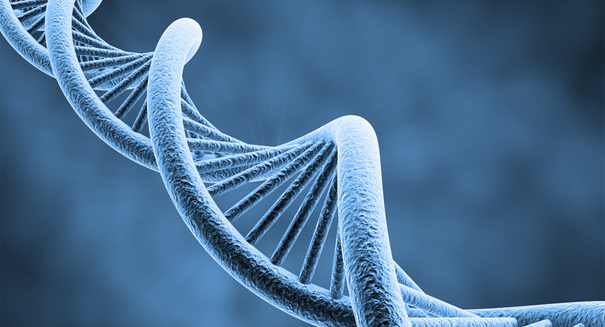 So just what exactly is the genome? Essnetially, it is the genetic material of an organism. Pretend your are a computer: the genome is the code that writes all your software, and without it, you would be just an empty shell. Genomes are made up of DNA, the building blocks of life that define who we are and how we looks like, right down to the color of our eyes or even our personalities. Mapping the human genome has been the holy grail for biological researchers. It is such a complex process that it has been going on for decades, and even now we are far away from a complete understanding of the vast information contained within and what it means for how our body is coded. But should scientists be able to crack how to alter the genome, it could completely change the face of medicine, allowing us to strike at the roots of deadly diseases that are genetic or inherited, and perhaps completely eliminate them forever from humanity. The CRISPR technique has been incredibly beneficial in the study of genomes, allowing bacteria to use CRISPR to attack invading viruses. It has also provided a natural defense system in food production that has keep dairy products from spoiling and allowing in viruses, so a more potent version of this technique could be hugely beneficial on the food supply and on the medical industry in general.